Monstrous Matters: The Super-Pet comes to Light City! While I'm "working" on getting more traditional archetypes figured out for Light City, +Justin Isaac of Halls of the Nephilim has been thinking outside the box on what should be included in Swords & Wizardry Light-based supers. His first Light City One Shot has just hit OneBookShelf, and it's awesome! 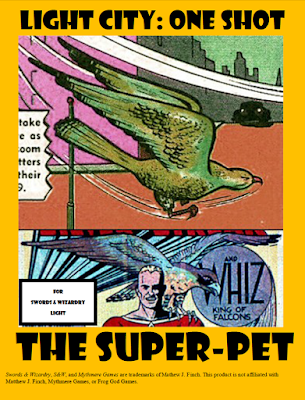 You should go check out The Super-Pet! Apparently Justin's thinking of changing up the cover. I dunno...I like it! 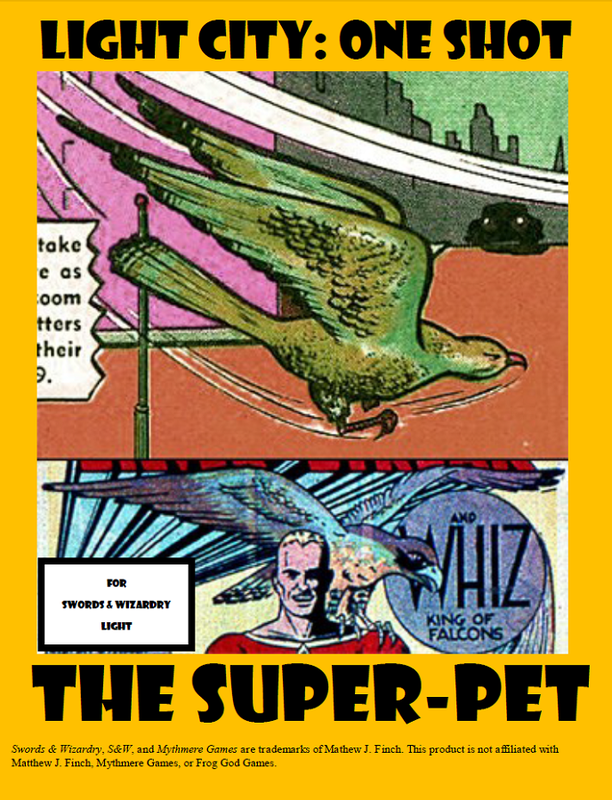 Given my love for both comic book heroics and my own super pets, this is actually a class that I knew was going to have to happen at some point, and Justin's done a great job with presenting a broadly useful (and fun!) character option (that can even handle robot assistants!). Look for a character or two to be statted up here later in the week...! I should have realized this one would have been one on your radar eventually (given your love for animals). I'm glad you liked it. Also, if you have any suggestions, message me and I'm all for improving the class.